Whether it’s on Twitter, LinkedIn, or the latest place to be – Instagram. The number of people who use social media is rapidly growing. And like any good business that goes where the people are, you’re probably marketing on those platforms too. As a result, the need to establish a strong email marketing campaign has fallen by the wayside for many marketers. As many businesses flock to the latest social networks outbidding each other on ads and trying to acquire customers. A quiet group of smart entrepreneurs are sitting back, maybe laughing a little. 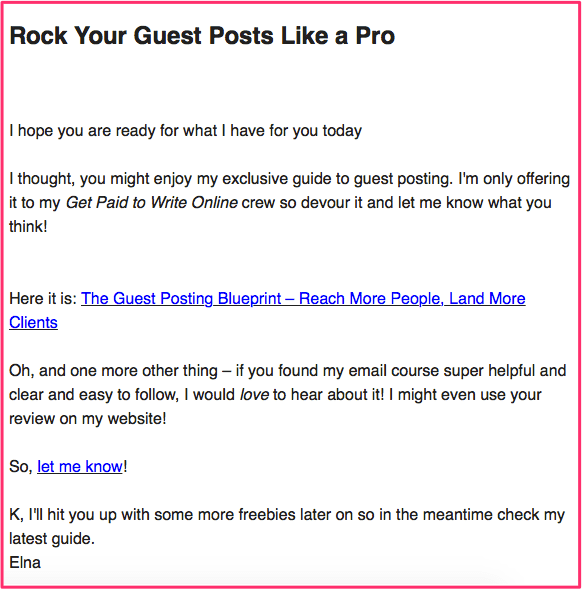 Oh and making a killer ROI using plain old email marketing. It makes a lot of sense, though. Is there anyone who doesn’t constantly check their email? Even your grandparents probably do, right? And despite frequent changes in online marketing, email has remained an extremely reliable tactic and has continued to adapt to the evolving market. 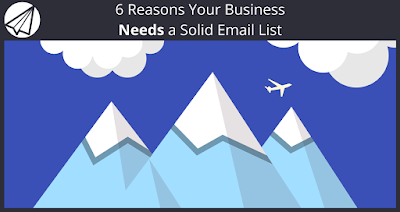 Here are six reasons why your business needs a solid email list. You need to be able to reach your target audience and keep your current and potential customers informed about all of your business’ latest news and updates. 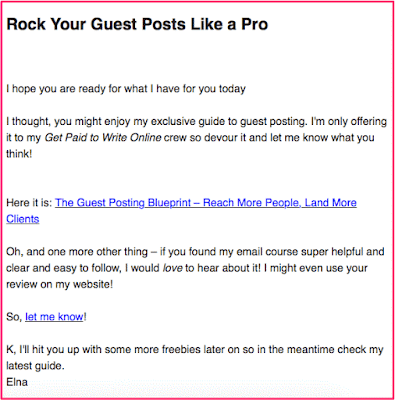 An email list is a valuable asset that allows you to do just that. The popularity of social media is growing, but email is familiar. You may find it more exciting to promote things like deals or sweepstakes via social media, but email provides a more effective, one-on-one connection with your audience. It harnesses a more stable relationship and allows you to do special things for your subscribers. Carrie Smith of Careful Cents knows just how valuable her list is to her business. In this instance, she’s nurturing her list by giving them free access to valuable workshop training videos. Sending consistent, targeted emails will increase the likelihood of someone buying from you, much more than a single post or tweet. Even a viral one… ever could. When it comes to buying a product or service, people want to purchase from someone they trust and who they consider to be an expert in their field. Being consistent with your emails is an effective way to show your customers your business is reputable. Ed Gandia from the International Freelancers Academy shares his expertise and often gives away cheat sheets, guides and other free content to his loyal subscribers. By giving away exclusive content to your subscribers, you start forming a stronger connection with them. They start trusting you and when they see your information is valuable. It helps in making them loyal to your brand. And when people like your brand, they’ll buy from you. Just think of Apple and its legion of loyal customers. We already know sounding too robotic in your emails or sending them out via a generic email address are two costly mistakes that are likely to get your emails deleted. But if your emails are too impersonal, your customers won’t feel a strong connection to you. And they sure won’t feel bad about sending your email to the trash, the spam folder, or even unsubscribing. When someone is reading your email, you hopefully have his or her undivided attention – at least for a few minutes. Take advantage of this. Write about things your target audience finds interesting. Caitlin Bacher does a great job at being personal in her email by using a subscriber’s first name and talking directly to them. 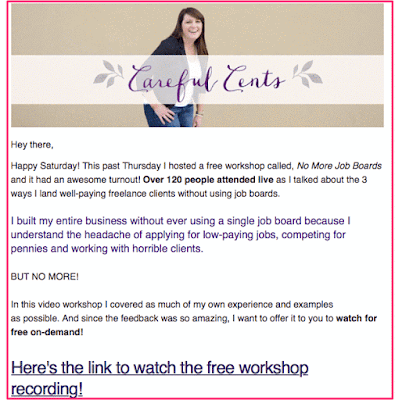 See how using personalization tags in your email marketing campaigns – in this case the subscriber’s first name – instantly makes your emails feel more welcoming? Rather than spend your time trying to acquire new customers, why not show your existing customers some love? Customer retention is much easier than customer acquisition – if you’re smart about it. If you’re segmenting your list properly, it should be no problem to target only your buyers. Email them special offers, give exclusive discounts on your other products, and work hard to build a relationship. This is something I repeatedly do for own my list. As a writer and digital marketer, subscribers mainly enter my sales funnel through my free email course. After people finish with the 6-day course, they automatically receive a pitch to buy my comprehensive paid course. 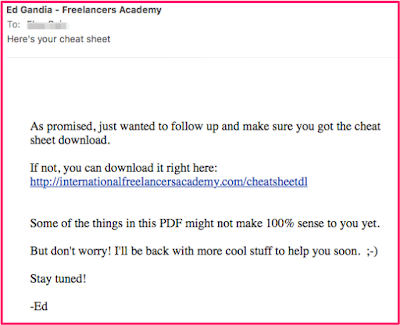 I also periodically send my list free in-depth guides and PDF reports that I create just for them. I do this to provide value to my subscribers, and to keep them interested. In other words, keeping your leads warm. It can cost seven times more to acquire a new customer than it does to maintain your current ones, yet 63 percent of marketers still feel customer acquisition is the most important advertising goal. Working to create loyal customers is easily done through email, and can result in a huge uptick in sales – $250,000 more in the case of Howards Storage World. For another example, Dairy Queen periodically emails its subscribers buy-one-get-one-free coupons and other deals. Take note of the date on the email. 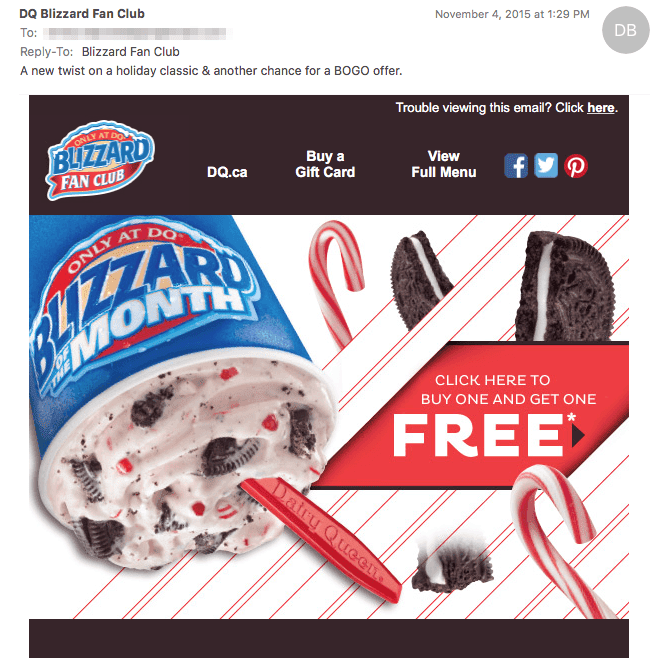 November isn’t typically peak season for ice cream, but you can see this email sparked some winter ice cream sales! Simply by doing this you can decrease your unsubscribe rate and help maintain a solid fan base. There’s no denying a solid email list takes time and energy to develop, but if you can increase your sales as a result, isn’t it worth it? Email marketing is the second most effective marketing channel behind search. Probably the most effective from an ROI perspective – and accounts for more than 7 percent of all online transactions. Bryan Harris of VideoFruit made over $220,000 in 10 days by only launching to his email list of around 13,500 subscribers. In fact, statistics show 44 percent of people who are email subscribers made at least one purchase last year based on a promotional email. Also, people who buy products through effective email marketing spend 138 percent more than people who don’t receive email offers at all. The opportunity is there, so go take advantage of it. With a solid email list, you’ve developed a loyal foundation of people who respect and value what you bring to the table as a business. 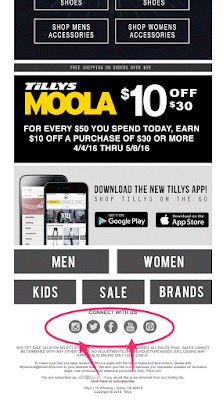 While you want your email marketing strategy to persuade people to buy what you’re selling. It’s also a great opportunity to influence your customers with some of your other online content. From time to time, cater your emails to include content that links out to your company’s blog, YouTube channel, social profiles or podcast. 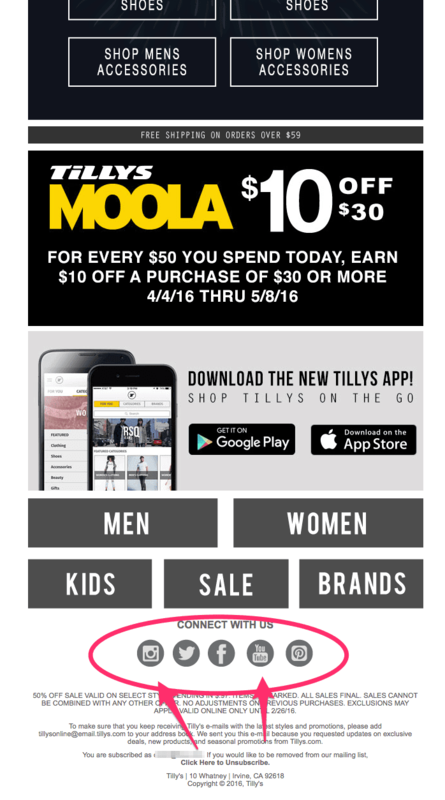 Tillys, a popular American clothing store, always includes links to their social media profiles with every email they send out, helping them grow their brand and business. There’s no doubt about it; email isn’t going anywhere. And when the next latest-and-greatest social network comes along – despite what anyone says – email marketing will still not be dead. Even if you’ve been neglecting email marketing in your business, it’s not too late to get started. Actually, with the latest in email marketing automation software, some might say it’s easier than ever. Send personalized emails to both your leads and buyers, and don’t forget to treat your customers well with exclusive offers and discounts. You’ll build a strong foundation for your business, create a valuable asset, and help build trust with your audience – ultimately increasing sales. Are you taking your email marketing as seriously as you should?